Una plataforma; productividad sin precedentes, automatización, calidad y flexibilidad. 2016 MUST SEE 'EMS The Xerox iGen Platform has won a MUST SEE 'EMS Legacy Award, given to a previous MUST SEE 'EMS winner that has had a lasting and profound impact on the graphic communications industry. 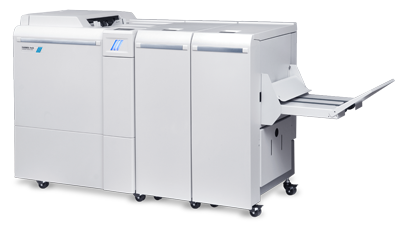 EDP Association The Xerox® iGen® 5 Press was recognized at the 2016 European Digital Press (EDP) Awards at drupa in Düsseldorf, Germany. 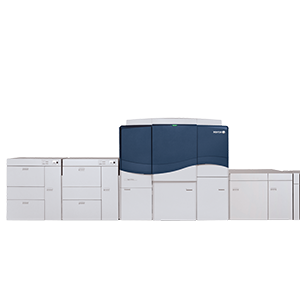 The Xerox® iGen® 5 Press was named Best cut sheet color A3+ printer > 200.000 A4/month. 2015 MUST SEE 'EMS The Xerox iGen 5 Press has won a 2015 MUST SEE 'EMS award. MUST SEE 'EMS are awarded to designate products that visitors to Graph Expo 2015, North America’s largest graphic arts tradeshow, should not miss.